Cap'n Transit Rides Again: Transmillennial NYC? Why exclude highway corridors? 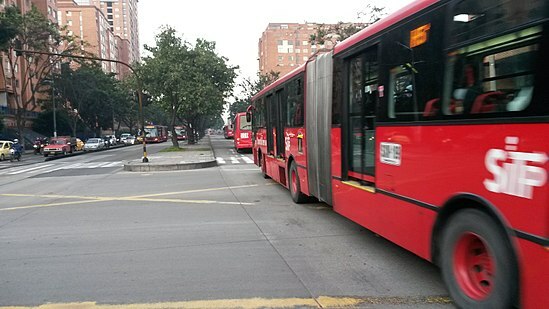 I think the best use for Transmilenio-style busways in NYC is making more efficient use of some of the space that is currently wasted on freeway lanes. 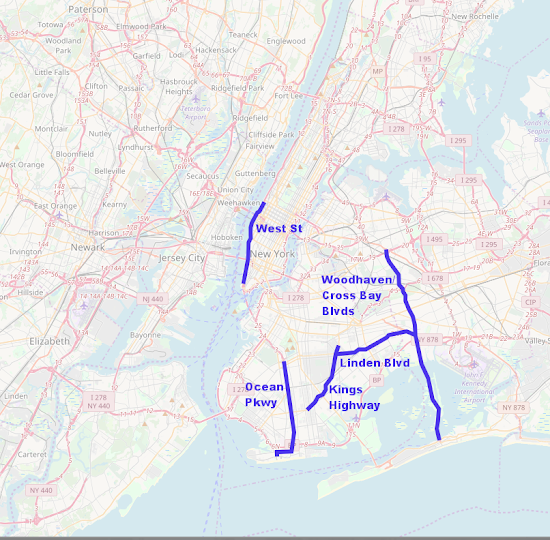 The Staten Island/Gowanus Expressway (with a new transfer station on SIRT north of Grasmere) seems like a particularly good use case; some circumferential corridors that could complement the radial subway (e.g. Belt Parkway, Van Wyck Expressway, Grand Central Parkway, Cross Island Parkway, Cross Bronx Expressway) also seem worth considering. The main reason I'm excluding highway-type corridors is that the people who talk about implementing Transmilenio in NYC focus exclusively on arterials. I'm planning a post on highway corridors, but you can write one if you like! I understand you looked at Transmilenio because that was the prompt, but I dont think its the best model, because as you said, it is highway focused. And thats fine, why not use what you have available? BRT came from Curitiba, and most of their corridors are on pretty regular streets. They even managed to go back and add bike lanes. Of course, as you said, this requires taking a lane away from cars. And the NYC metro area is so single-auto focused they cant even stomach an HOV lane.